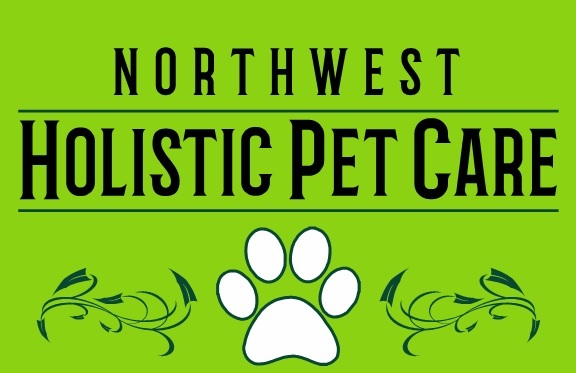 Donna Kelleher, DVM is the only holistic veterinarian in the Pacific Northwest skilled at a wide set of modalities, including NAET, chiropractic, acupuncture, as well as Western and local plant medicine for animals. She has practiced holistic veterinary medicine since 1994, after graduating from Washington State University’s College of Veterinary Medicine (WSU). During her senior year at WSU, and following an internship with Dr. Allen Schoen, she received the Grady Young Scholarship for the International Veterinary Acupuncture Society (IVAS) course. In the mid-1990s, she worked nights and weekends in small animal emergency hospitals, but spent her days passionately working with her acupuncture patients. During her time working in emergency veterinary medicine, she soon came to see Western medicine as an acute medicine offering often-needed surgery and pharmaceuticals, but found chronic disease was far better addressed when applying holistic modalities to achieve cures at a core, or root level. Her personal experiences with chronic asthma and allergies, and an early exposure to diverse cultures and their approach to healing with the use of herbal teas and tinctures, would later lead her to pursue herbal training. Soon after beginning her practice she learned and incorporated Tradition Chinese Medicine (TCM). In 1997, she was certified in veterinary chiropractic through the American Veterinary Chiropractic Association (AVCA), and began incorporating the use of chiropractic and acupuncture for many of her cases. In 1998 she began training in herbal medicine through the American Herbalist Guild (AHG) and focused her studies on the use of Western Herbs. She studied with many herbalist pioneers including Rosemary Gladstar, Michael Moore, Michael Tierra and K.P. Khalsa, and was certified as a Master Herbalist in 1999. She considers herbal training an ongoing process and regularly attends many local herbal conferences and workshops. She grows and wild crafts a large portion of herbs for use in her practice on her farm in the Pacific Northwest. Her goal is to transition her use of Chinese herbs to that of local and Native American herbs, and then teach others how to do the same. Her continued personal health issues with asthma and allergies led her to a chance visit with a practitioner who’d successfully cleared patients’ allergies with use of Nambudiprad’s Allergy Elimination Technique (NAET). In 2000 Dr. Donna began receiving NAET twice a week over the course of months to identify and clear countless individual allergens that had been affecting her quality of life for years. She was cured of her allergies and remains allergy-free fourteen years later. The experience led her to taking the NAET course and becoming certified the same year she was cured of her own allergies. In 2003 she wrote her book, ‘The Last Chance Dog: True Stories of Holistic Animal Healing’, and in 2012 her second book, ‘The Proof Is In The Poodle’ was published. Dr. Blake has been practicing veterinary medicine since 1990. In 2005 he became certified in veterinary acupuncture. Since then he has practiced veterinary acupuncture, herbal medicine and nutrition in Bellingham, WA, treating a wide variety of conditions from musculoskeletal and neurologic diseases to cancer support. Dr. Blake also has a strong interest in meditation and Tai Chi, and enjoys discussing these practices with clients in order to help them stay balanced and centered through their pet’s illness and treatment. He believes that keeping ourselves healthy will help keep our pets healthy! Please see our contact page to schedule an appointment in Bellingham. Learn more about Whole Pet Vet’s name change and Dr. Donna’s NEW Bellingham Clinic! 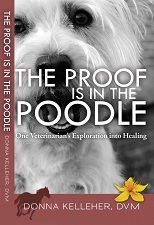 Check out Dr. Donna Kelleher's new book "The Proof is in the Poodle"